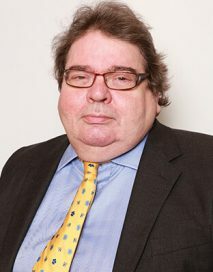 David describes himself as a barrister, journalist, author and mediator, having been accredited by the prestigious Regent’s College School of Psychotherapy and Counselling Psychology in Alternative Dispute Resolution skills. David’s knowledge and experience in employment and discrimination law has been gained since the early 1970s when he did his first employment law case. His practice has developed as this area of law has expanded to become one of the most important and complex areas of law. Some of David’s experience was gained as an Employment Tribunal judge. In addition to providing representation and advice in litigation, David has a deep understanding of operational HR issues and regularly assists police forces and others in resolving complex employment problems. David can provide advice and representation in the goods and services area of disability discrimination law, a complex area of law with serious implications for organisations which fail to comply with the legislation. In addition to his legal practice, David has extensive experience in training and lecturing and can provide a service in this area. ‘An outstanding & talented individual. He has vast experience & knowledge both within and often outside his chosen specialist field. He is an extremely good advocate with an enviable success rate. I have no hesitation in recommending him’ – Alan Hall, former Director, Engineering Employers’ Federation. ‘David’s tactical awareness is second to none and includes his knowledge of pre-dismissal advice, litigation support as well as his exceptional Tribunal advocacy skills. He is a proven heavy weight, who carefully, subtly and deftly addresses a case from start to finish. I would without hesitation recommend David and am conscious that every one of my client’s David represented has expressed their admiration at his ability.’ – Damian Robson, Associate, Ward Hadaway. Because of his experience as a solicitor, David was not required to sit the Bar exams and served only a second six pupillage.